Home / Ayala Center Cebu / Beauty / Centrio / Deals / discount / Fashion / Glorietta 3 / Keds / Robinsons Ilocos / Robinsons Magnolia / Robinsons Manila / sale / shoes / SM Ilo-ilo / SM Megamall / SM North EDSA / U.P. Town Center / Keds Starts the Year Right with a Big Month-Long Sale! 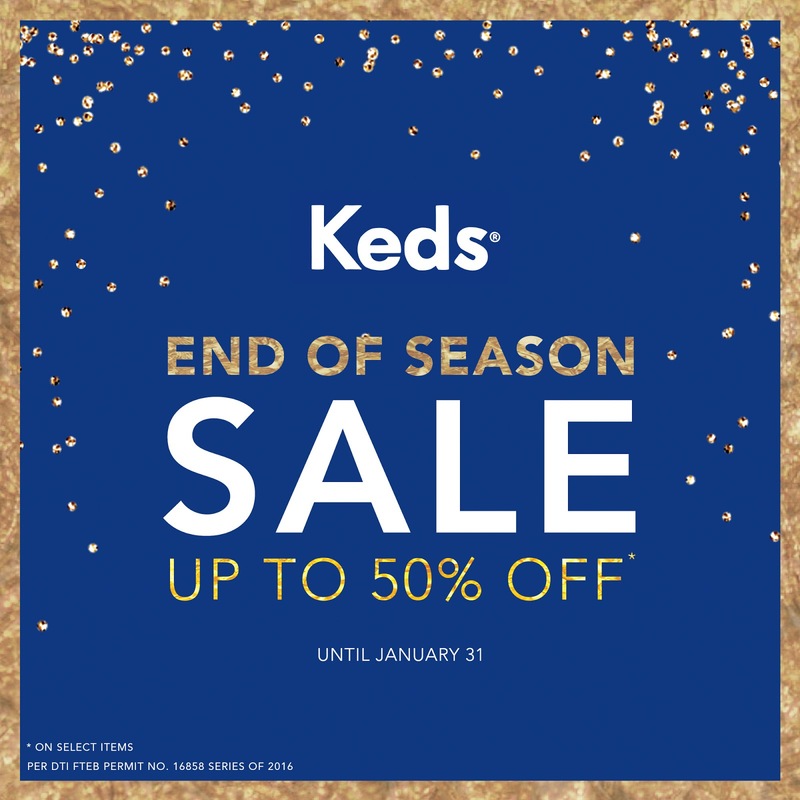 Keds Starts the Year Right with a Big Month-Long Sale! Put your best foot forward as the New Year unfolds with your favorite sneakers from Keds! Score up to 50% off on select stylish sneakers from January 1 to 31, 2017 by visiting Keds stores located at Glorietta 3, SM Megamall, SM North Edsa – The Block, U.P. Town Center, Robinsons Magnolia, Robinsons Manila, Robinsons Ilocos, Ayala Center Cebu, SM Ilo-ilo, and Centrio! No time to head out but still want to enjoy the deal? No worries! Join the sneaker craze by visiting www.keds.com.ph to place your orders online! To know more about Keds, please visit keds.com.ph, facebook.com/kedsphilippines, and follow @kedsph on Instagram. Founded in 1916, Keds® redefined footwear with the introduction of the Champion sneaker. The iconic design was one of the first options to provide women with accessible, fashionable footwear and ignited a style revolution. Over the past 100 years, Keds® have been worn by iconic women such as Audrey Hepburn, Katharine Hepburn, Marilyn Monroe, Jackie O and Yoko Ono. In 2015, Keds® introduced the Ladies First Since 1916 platform in over 80 global markets and launched a powerful new era in its history. 2016 marks the brand’s centennial year, celebrating 100 years of fashionable footwear and a passion for female empowerment. Keds® is a division of Wolverine Worldwide, the world’s leading maker of casual, work, outdoor, athletic and children’s footwear.